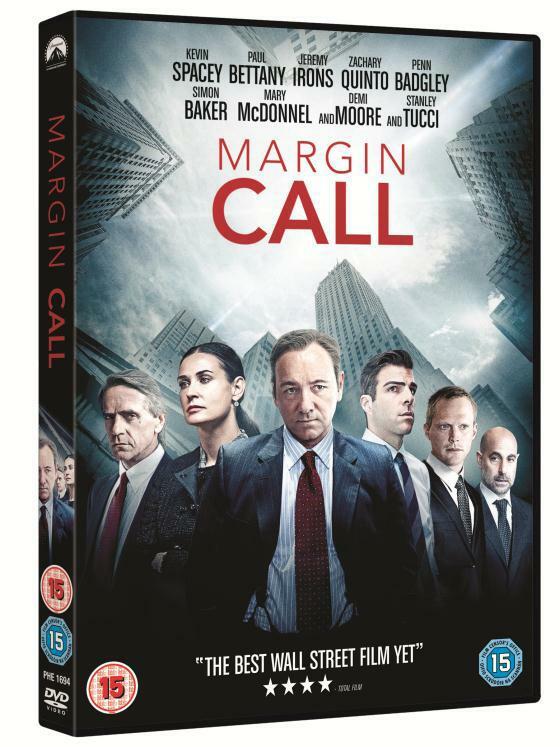 Set in the high-stakes world of the financial industry, Margin Call is a thriller entangling the key players at an investment firm during one perilous 24-hour period in the early stages of the 2008 financial crisis. When entry-level analyst Peter Sullivan (Zachary Quinto) unlocks information that could prove to be the downfall of the firm, a roller-coaster ride ensues as decisions both financial and moral catapult the lives of all involved to the brink of disaster. Margin Call was nominated for which Oscar? * The winners will be picked at random and contacted by flickfeast. * The Editor’s decision is final and binding on the entrants. No correspondence will be entered into. * Closing date is 20th November 2012. The winners will be notified by email and must respond within a week otherwise the prize will be given to someone else. If asked what his favourite film was he would always reply "Not the Shawshank Redemption". Not that it is a bad film… far from it... just not his favourite.